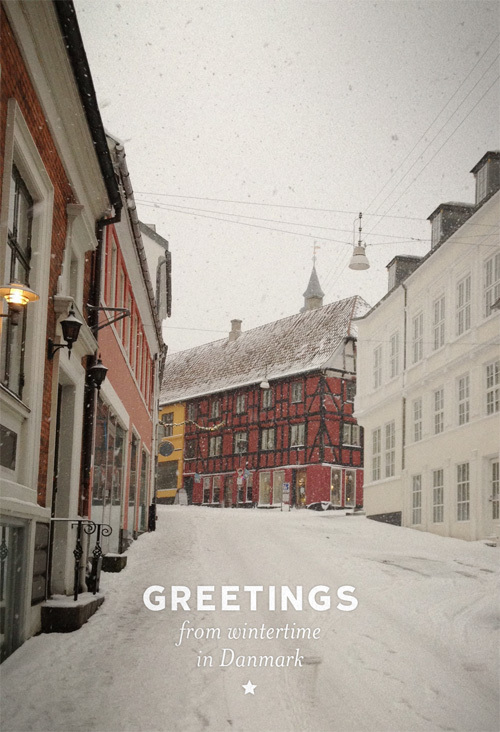 Wintertime in Denmark is something special. The high latitude means that days are short (very short) and the darkness instigates a hibernating hush over the land – people grouped indoors around candles and food to stave off the bleak, cold season. But during those few hours of daylight, the townscape can be absolutely enchanting, which I was especially aware of in the photo above taken in a small town on the island of Fyn. Swish swish, shhh shhh.